Home English KCR to take oath on auspicious day! 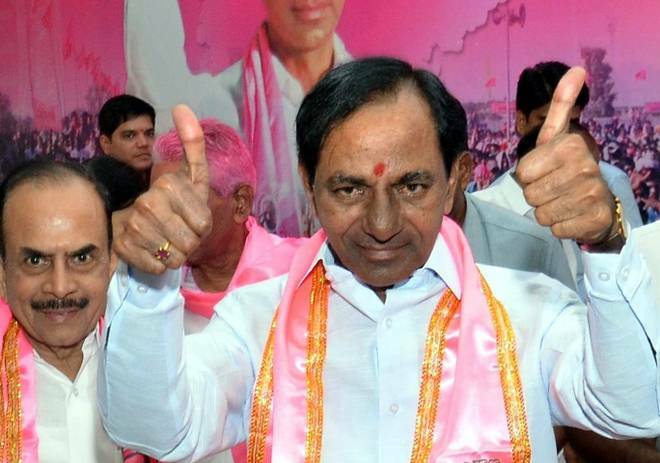 KCR to take oath on auspicious day! TRS is all set to form government again. KCR is asked take oath on December 12 as its Panchami with Sravana nakshtram which is considered auspicious day. As per buzz, KCR wants take oath on December 15 at 10.05 am. KCR is known to be religious and is staunch believer of astrology. His lucky number is said to be 6. So, Dec 15th sums upto 6, hence KCR wants to take oath on this day, say sources. But Dec 15th is Ashtami which is not considered auspicious. However, astrologers say that it is okay as per KCR’s horoscope, moreover since it is Margasira Masam. Next articleకేసీఆర్ కు టాలీవుడ్ ప్ర‌శంస‌ల జ‌ల్లు.. కృష్ణ అభినంద‌న‌లు..